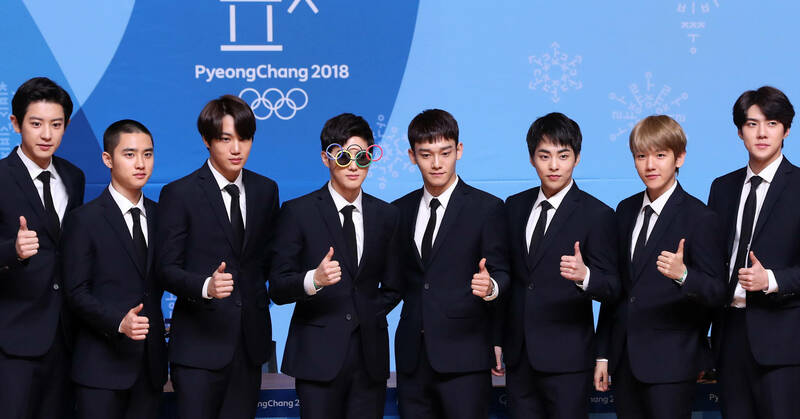 Guardian·NYT Put EXO in the Limelight…"one of the most popular and best-selling boy bands in Asia"
EXO members posing at a press conference for the closing ceremony of 2018 PyeongChang Winter Olympics on February 21 at the Main Press Centre in Alpensia Resort, PyeongChang. 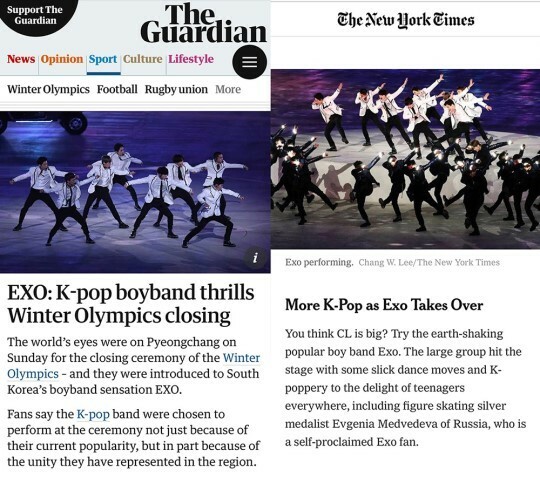 The foreign press put EXO in the limelight. EXO graced the closing ceremony of 2018 PyeongChang Winter Olympics on February 25 KST. EXO performing at the closing ceremony of the Winter Olympics on February 25. Photo from KOREA POOL.